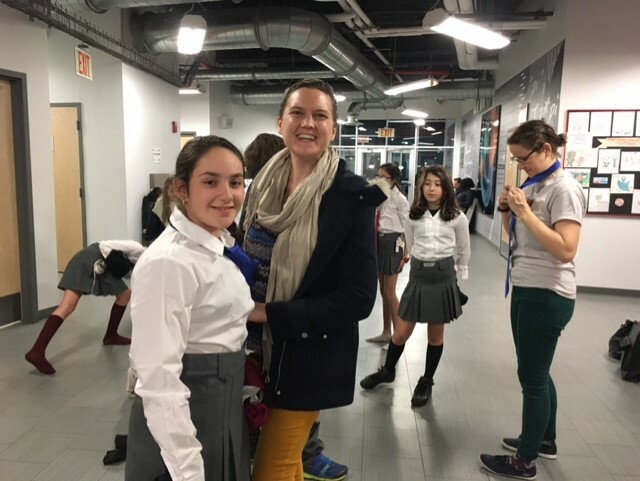 Making Shakespeare interesting and relevant to students has always been a priority for our Performing Arts faculty, but Ms. Crowley and Ms. Simmons took it to the next level with their recent Shakepeare Club performance of Romeo & Juliet staged all around our schoolhouse. "Site-specific" performances are one of the latest trends in productions from New York to London. They break down the traditional divide between actors and audience and offer a more immersive experience. Student performers took audience members all around our campus during their recent production of the Bard's tale of star-crossed lovers. Both performers and audience members knew they were experiencing something special. "My daughter was in the play and enjoyed the fact that the production took place at various locations, just like being on a movie set," said Joyce Yang. "It enhanced students' experience of the play." "Any opportunity to be creative is something that I value," continued Ms. Yang. "I am an advocate of arts education. Arts programming enables students to express themselves and learn in a different capacity". 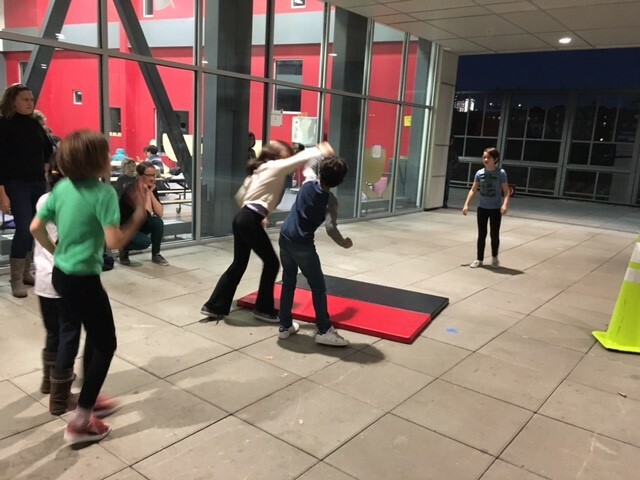 Ms. Crowley tapped a stage combat expert to visit BASIS Independent Brooklyn and choreograph fight scenes between our feuding Capulets and Montagues. Adding to the excitment was Ms. Crowley's idea to stage the last fight scene on the terrace, so audience members had to run near the first floor cafeteria windows to watch the rabble shouting, Mercutio killed by Tybalt and ultimately Romeo strike down Tybalt in retribution. Costumes for the show were designed to compare the fueding families to rival schools. Students made signs posted all around the entranceway where the performance began, and they brought an energy and excitment to the production. 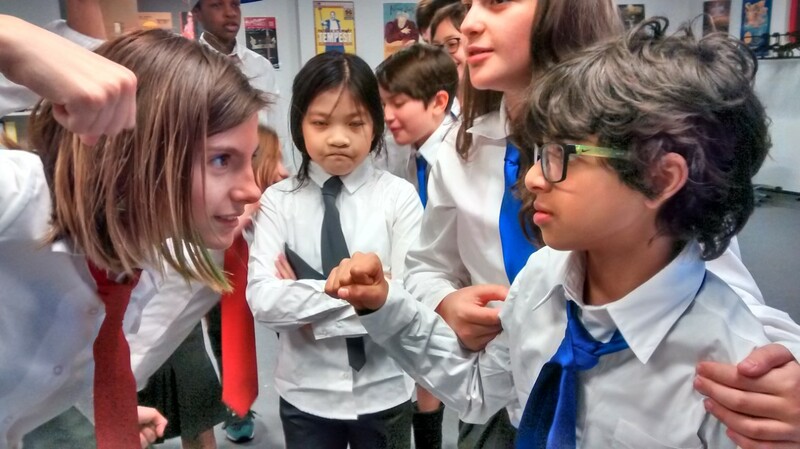 Cheers of "Go Capulets" and "Montagues Rule" could regularly be heard echoing in the halls during the after school Shakespeare Club rehearsals. take a moment and give a big shout out to the unsung heros - the AV team. Our "site-specific" production made microphones and lighting more than a challenge. Our AV student team loaded speakers onto carts and ran around constantly arranging lighting and sound. 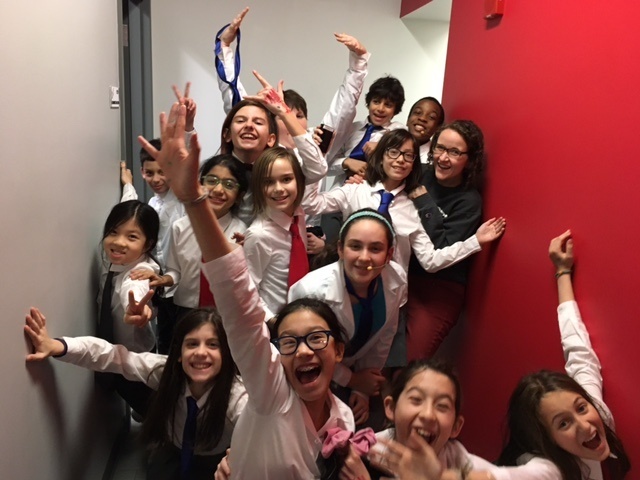 Thank you to the amazing Ms. Crowley and Ms. Simmons, our wonderful performers, and the entire Romeo & Juliet team for making the performance a smashing success! Join us at an upcoming Information Session in Brooklyn to see for yourself what all the buzz is about!